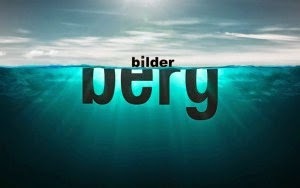 The UsuryFree Eye Opener: Global Power Project: Is the Bilderberg Group Picking Our Politicians? Global Power Project: Is the Bilderberg Group Picking Our Politicians? his is the second installment in a series examining the little known activities and individuals behind the Bilderberg Group. Read the first part here. When it comes to the secretive meetings of the world’s financial, corporate, political and technocratic elites at the annual Bilderberg conferences, a common criticism from conspiracy theorists and others is that the group pre-selects major politicians – choosing presidents and prime ministers in private before populations have a chance to vote themselves. Bilderberg participants contest this framing, suggesting that Bilderberg participants simply invite up-and-coming politicians who appear to have a bright future ahead of them. The truth is that it’s a bit of both. Bilderberg invites politicians who appear to have an influential future in their respective nations, but their attendance at the meetings (depending on their ability to impress Bilderberg members and participants) can itself have a very significant influence on their political futures. This is because the industrialists, bankers and media moguls in attendance hold significant individual and collective power over the political processes across much of the Western world. The main ideologies that pervade the group are an undeterred commitment to corporate and financial globalization, support of a Western-led world order, and the advancement and further institutionalization of global governance. Politicians who share similar views are more likely to be invited. As former Bilderberg chairman Etienne Davignon explained, “automatically around the table [at meetings] you have internationalists” who support European integration, the WTO and trans-Atlantic cooperation. The result: invited politicians who impress the attended members and guests through speeches or contributions to debates are likely to gain the support of some of the world’s most powerful individuals and institutions. This is no absolute guarantee of political success for higher office, but there are numerous examples of politicians whose attendance may have provided supportive – or even pivotal – influence in their reaching higher office. Of course, the notion of what is “sensible” is clearly biased toward policies that benefit the interests and objectives of financiers and industrialists. Jon Ronson interviewed the member of Bilderberg (who remained anonymous) that had invited Thatcher to the meeting. The former Bilderberg member recalled that Thatcher had sat in silence for the first two days of the meeting, leading to some participants “grumbling” about this lady who “hasn’t said a word.” So the Bilderberg member spoke with Thatcher, and then, “the next day she suddenly stood up and launched into a three-minute Thatcher special… The room was stunned. Here’s something for your conspiracy theorists. As a result of that speech, David Rockefeller and Henry Kissinger and the other Americans fell in love with her. 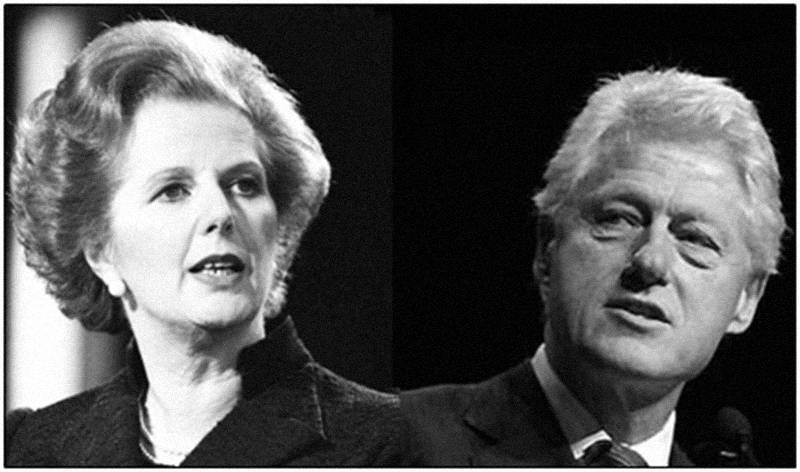 They brought her over to America, took her around in limousines, and introduced her to everyone.” Four years later, Thatcher was Prime Minister, and her reign left a legacy of privatizations, neoliberalism and profit for the powerful. Among the Canadian politicians who attended Bilderberg meetings before they became prime ministers were Pierre Trudeau, Paul Martin, Jean Chrétien and Stephen Harper. Former British Prime Minister Tony Blair had also attendedbefore becoming prime minister of the UK. Virtually all presidents of the European Commission attended Bilderberg meetings before being appointed to office. In 2004, as John Kerry was running for president against George W. Bush, a potential running mate, John Edwards, was invited to speak at that year’s Bilderberg meeting. According to a report in the New York Times, John Edwards “spoke so well in a debate on American politics… that participants broke Bilderberg rules to clap before the end of the session.” A friend of John Kerry’s who had attended that meeting recalled that the speech by John Edwards “was important… I have no doubt the word got back to Mr. Kerry about how well he did.” Shortly after, Edwards was selected as Kerry’s running mate (though they clearly did not win the more important election that year). From June 5 to 8 of 2008, Bilderberg was meeting in Chantilly, Virginia, just as the campaign to win the presidential nomination was heating up between Barack Obama and Hillary Clinton. As is typical during campaign season, the candidates traveled with a regular entourage of journalists. But on the night of June 5, following a campaign rally in Bristow, Virginia, Obama’s press entourage was “whisked away to Dulles Airport outside of Washington, D.C., to board a flight to Chicago,” as CBS reported. Shortly after the plane landed in Chicago, Gibbs informed the press that Obama had gone to meet with Hillary Clinton, though provided no details of the meeting or where it took place. At the time, there was speculation that both Obama and Clinton had gone to attend the Bilderberg meeting taking place nearby. Though never confirmed, the question remains, and two days after the “private meetings,” Hillary withdrew from the race and Obama became the presidential nominee. Later, as president, Obama gave Clinton the role of Secretary of State. In the summer of 2012, John Kerry attended the Bilderberg meeting, and he went on to replace Hillary Clinton as Obama’s Secretary of State for the second term. Forbes noted that Kerry’s attendance at the Bilderberg meeting may have helped his selection as secretary – also noting that Canadian Mark Carney had attended his first Bilderberg meeting in 2011 when he was Governor of the Bank of Canada, and was invited back in 2012 when he attended alongside British Chancellor of the Exchequer, George Osborne. Within a couple months of the meeting, Osborne announced Carney’s appointment as the Governor of the Bank of England – the first time a non-British citizen was appointed to head the institution. Just prior to being appointed as President of the European Council in 2009, Belgian politician Herman Van Rompuy attended a “secret dinner” of the Bilderberg group’s Steering Committee in order “to promote his candidacy.” He was invited by then-Bilderberg chairman Etienne Davignon, and attending members included other leading industrialists and financiers as well as influential figures like Henry Kissinger. Van Rompuy impressed the audience. He later served as President of the European Council from 2009 to 2014.